Photo: PATH/Mali Kambandu. Health workers are the heart of the BID Initiative. Their quick and enthusiastic uptake of data quality and data use interventions has resulted in early successes in Zambia’s Southern Province. Above, are several mother and child health nurses at Nkabika Clinic. This is the first blog in a two-part series about health workers who champion data use interventions in Zambia. At the heart of the BID Initiative interventions are the health workers: men and women who are trained in data use interventions, and who work hard to adopt them, proving that improved data leads to improved decisions and thus better health outcomes for children in Zambia. 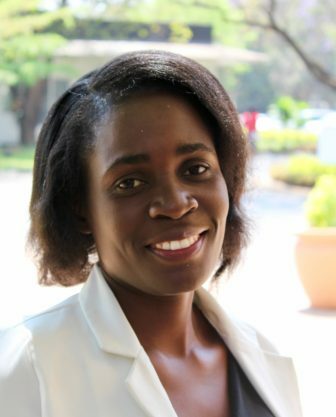 Georgina Muunga is a mother and child health nurse working at Linda Clinic in Livingstone. She has worked in the health service for seven years, and first became familiar with the data use interventions as we developed them with the Ministry of Health. Linda Clinic serves 11,800 people with 420 babies coming for immunisations and growth monitoring each month. At the end of 2016, using the interventions became a reality for Sister Georgina and her colleagues. All 20 nurses in the Mother and Child Health department were trained on-site in the data use interventions and the Zambia Electronic Immunization Registry (ZEIR), and all staff are impressed by the effective interventions. Despite the challenges of working with dual systems, Sr. Georgina attributes the success of the data use interventions to the staff’s positive attitude and their willingness to embrace change. Sr. Georgina recently received an award for being “The Most Consistent User” at the BID Learning Network Discussion Meeting held in Lusaka in September. The award is well-deserved as her colleagues describe Georgina as a steadfast user of the interventions, making sure other users understood how to enter the data, troubleshooting when necessary, and encouraging those who might be afraid of adapting to the new methods. Photo: PATH/Mali Kambandu. Health workers in Zambia’s Southern Province are championing data quality and data use interventions and are seeing the early results. Georgina Muunga, pictured above, was named “The Most Consistent User 2017” at the recent BID Learning Network Discussion Meeting. Judy Chilema is a nurse/midwife who leads the diligent team of nurses at Nkabika Clinic in Mazabuka. She has practiced nursing for nineteen years and has been at Nkabika since 2013. 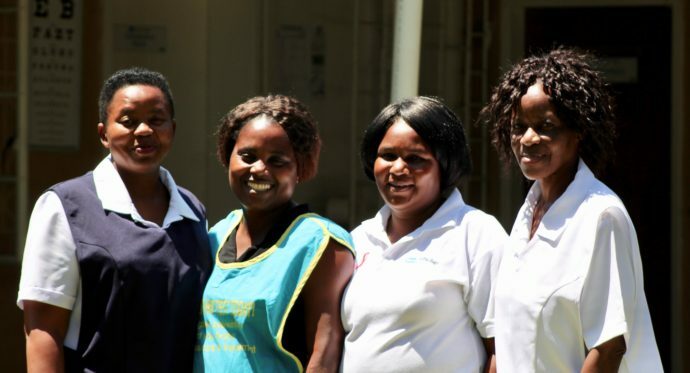 A team of four nurses runs the children’s clinic at this private health centre which serves 12,302 people and has 250 to 300 children coming to the clinic for immunisations and growth monitoring every month. The four nurses were trained in the data use interventions and the ZEIR this past August, and were immediately keen on adopting the solutions to improve service delivery. Their enthusiasm for the new interventions led to a positive acceptance of the electronic devices in the community. Sr. Judy reported that they had some challenges when first using the electronic system and getting used to all the functions, but the main challenge was dual data entry with the existing systems – nurses enter data into four registers, and also enter data into the mother’s postnatal card and the under-five card. “There are too many books! That’s why we need to incorporate everything into one. I’m looking forward to the time when we only have the ZEIR tablet!” said Sr. Judy. The staff regularly refer to the electronic record whenever a child comes to the clinic, whether they come in for immunisation or not. The ZEIR is becoming an invaluable tool even beyond immunisation sessions. For instance, staff use it to get a good overall health snapshot of each child. If the child comes in for malaria or diarrhoea, they will still look at the ZEIR record to view the child’s other health indicators. As a result, staff can quickly move a child through the services, while paying close attention to the child’s needs. “I’m happy to enter children in the ZEIR for the very first time because I know they will be using this record for the coming five years! But above all, the ZEIR helps us work faster, and this will be important when we go for outreach,” said Sr. Judy. Health workers like Srs. Judy and Georgina are what make the data use interventions a success, and their examples, along with many other super-users, will be carried forward as rollout continues in the remaining districts of Southern Province.